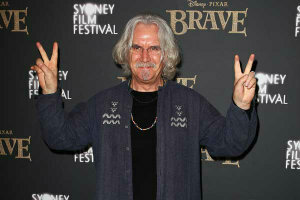 Billy Connolly returned to New Zealand today after a brief tour to promote the animated movie "Brave," which was three years in the making. He was glad to be back to complete his role as Dain Ironfoot. “I have a war to fight. Elves to kill. Orcs to maim,” he says. 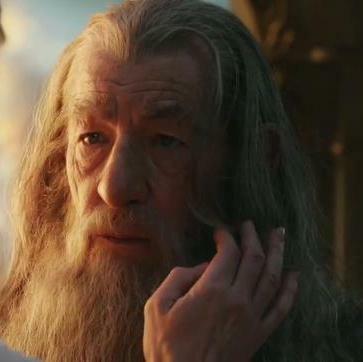 And he has really enjoyed working with Peter Jackson, who obviously sets a high standard. "He knows what he wants and he stays on the case until he gets it. It’s highly technical and we do a lot of takes. It’s not like normal movies where you just have to get your words right and avoid the furniture." But Billy isn't sure how long he will be in New Zealand although he hasn't done much sightseeing yet and revealed he has an invitation to "The Hobbit" wrap party on July 7th. So only a little while longer for Billy to be a dwarf warrior. Since they mentioned in the video blog that they still had six and a half weeks of principal photography left. But then I realized that they've probably been filming that blog over the course of several weeks - hence the outdated information. It's June 16 in New Zealand now, so they have roughly 20 days left of shooting. Insane. this means we won't have any more Vlogs, say for There and Back Again? Cause in this last vlog PJ said that they have only one more. And i thought he meant one more for Unexpected Journey. I don't know, i'm confused. "Look forward to our final blog of our shooting period." If this follows the same formula as King Kong, we'll get some blogs throughout post-production. They will be shooting pick-ups so why not make those into blogs?